The ATM-like smart card, which is named Odyssey City Card, aims to boost the digital payment and help people migrate to a hassle-free cashless society. 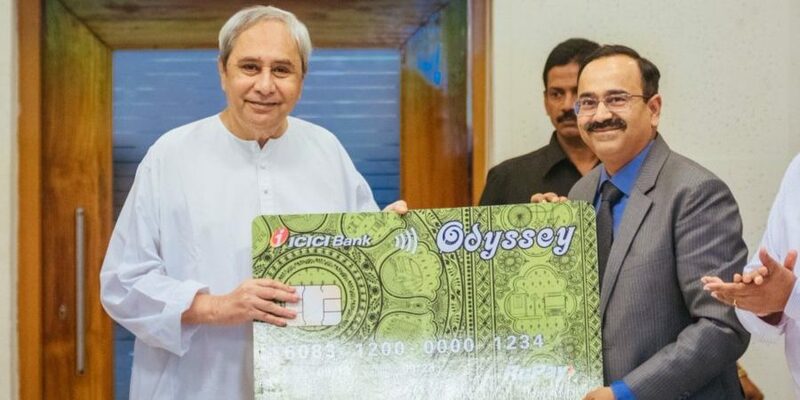 Chief minister Naveen Patnaik on Friday launched the much-awaited smart common payment card at the secretariat, which will enable people to make payments for various utility and other related services. The ATM-like smart card, which is named Odyssey City Card, aims to boost the digital payment and help people migrate to a hassle-free cashless society. The CM also inaugurated a centre under the common city payment system that will help people get and understand about the card from the service provider. The Odyssey City Card can be used for making payments at the Central Electricity Supply Utility for electricity bills, public health engineering organization for water tax, Bhubaneswar Municipal Corporation for holding, advertisement and other taxes and Bhubaneswar Development Authority for other fees and more. The card can also be used for payment of city bus fares, amusement and recreational places, purchase of items from stores, movie tickets, restaurants and so on. “The ICICI has designed and fixed other modalities for the card. It is going to change the digital payment scenario of the city,” said a smart city official. Authorities hope to distribute the cards to about 2.5 lakh persons and are expecting an annual transaction of more than 30 millions every year. “People can hold this single card instead of multiple ones. Cash could be filled in the card using various methods, which could be used while making the payments,” said the official. Mayor Ananta Narayan Jena said the card would be a game-changer for the smart city. “The card can be used for various purposes. A user need not to hold a number of cards in their wallet since this one will serve multiple purposes. We hope to provide the cards to more people here,” said Jena. Officials said the ICICI, which is the executor of the project, would charge a certain amount for issuing the card to the users. “This will be more like ATM-cards. A user will have to pay a certain fee to get the card. The card will be secured and can be used at the point of sale machines, but not for any online transaction,” said another smart city official.